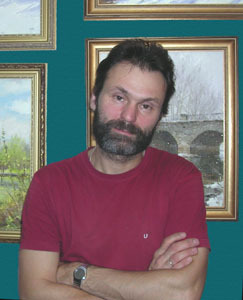 Was born in 1963 in Sverdlovsk. 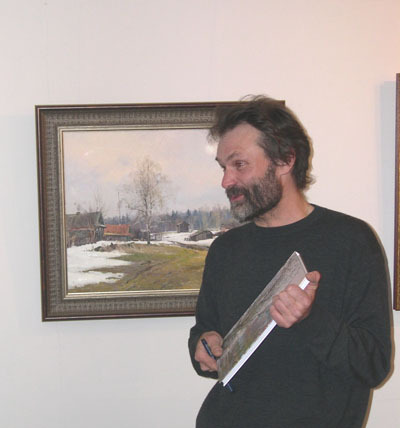 Graduated from Pedagogical Painting Department of the Sverdlovsk Art College in 1983 and the Chair of Art Critics of the Ural State University in 1991. He has been working in the "Artefactum" studio since then he is occupied in the museum projecting. 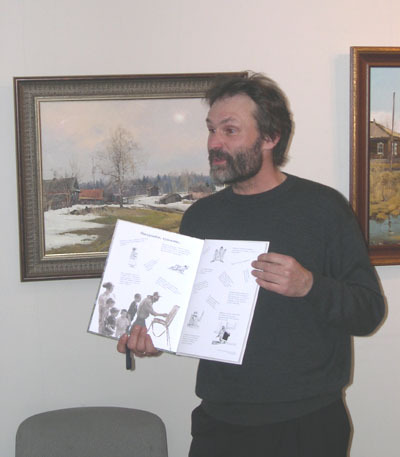 He is the member of "Union of Artists of Russia". Works in easel painting and graphics technique. Has taken part in many regional and city exhibitions. His works are performed in regular expositions of Ekaterinburg, Pyshma, Alapaevsk and other cities and also in private collections in Russia and abroad. The largest set of works is belong to the Ural Bank of Reconstruction and Development. "Landscape for me is a peculiar niche. Nature sketch is not just a study is not an exercisefor a hand and eye but a possibility for seclusion, a possibility for I dialog with myself, a possibility for a deep esthetic feeling. I enjoy painting city views indeed, not newly-erected buildings but still streets, old houses created by people and for people. "Two steps from fuss" – my works cycle, made in our city streets. You will not usually see people or cars at my pictures. They are not narrative but are contemplative.. contemplation is impossible on the run. Just have stopped or turned to walk, stayed, a new environment, something new can be seen. And then there is no rubbish and dirt , ruins and disorder, no noise and anxiety, and the city of harmony, air and feelings arises instead of it”. 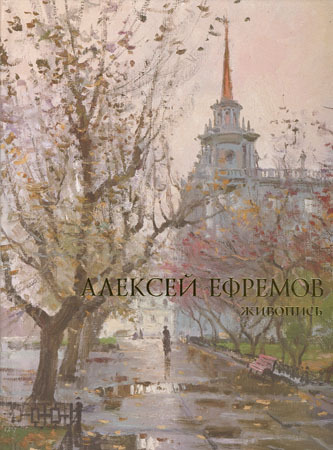 Alexey Efremov. Paintings. / Compilation and design. V.V. Shtukaturov // Ekaterinburg, Russia, 2008, 119 p.
Landscapes Ural. Paintings the artists Ekaterinburg. / Compilation and design. V.V. Shtukaturov // Ekaterinburg, Russia, 2006, 171 p.
Ekaterinburg in paintings. / Compilation and design. V.V. 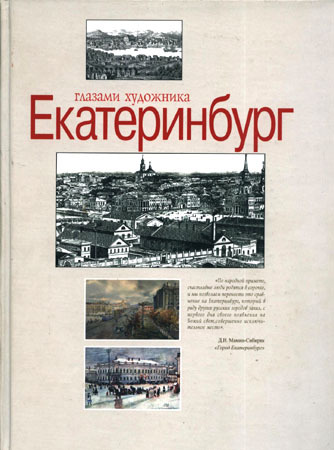 Shtukaturov // Ekaterinburg, Russia, 2008, 143 p.
Almanac 'Art-prospects 2006'. 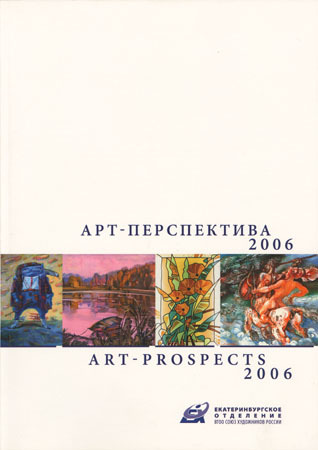 // Ekaterinburg branch of all-union creative public organization "Union of Artists of Russia", Ekaterinburg, Russia, 2006, 77 p.
Alexey Efremov presents the book of his art works. 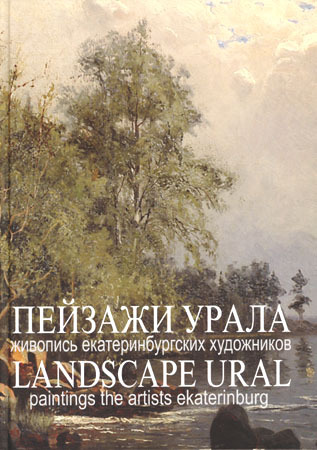 Personal exhibition of painting. Ekaterinburg, 2008. Alexey Efremov full fill paintings to order. You can order landscape, still life or a portrait of your family. It will be the best present to you friends and relatives.